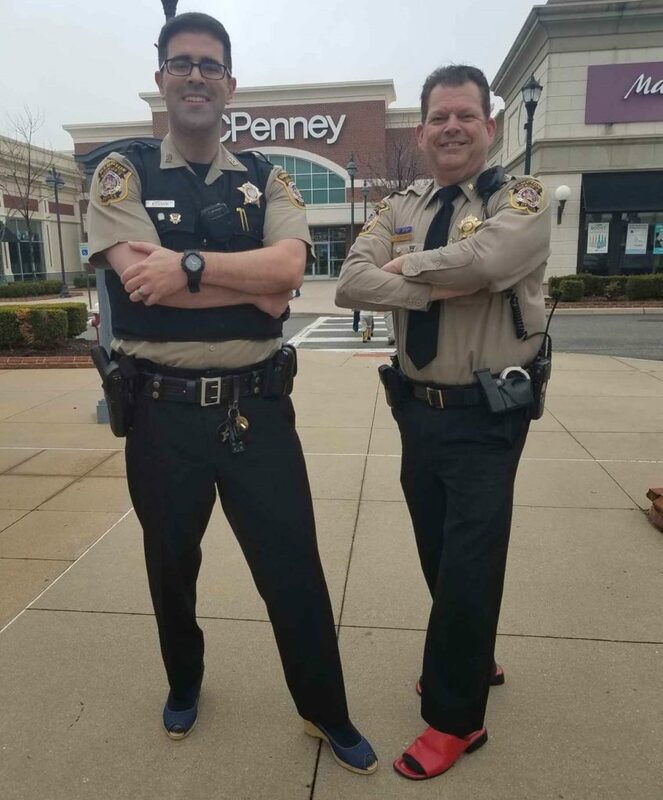 The Hampton Sheriff’s Office recently fundraised and participated in the Walk In THEIR Shoes event on Saturday at Peninsula Town Center. 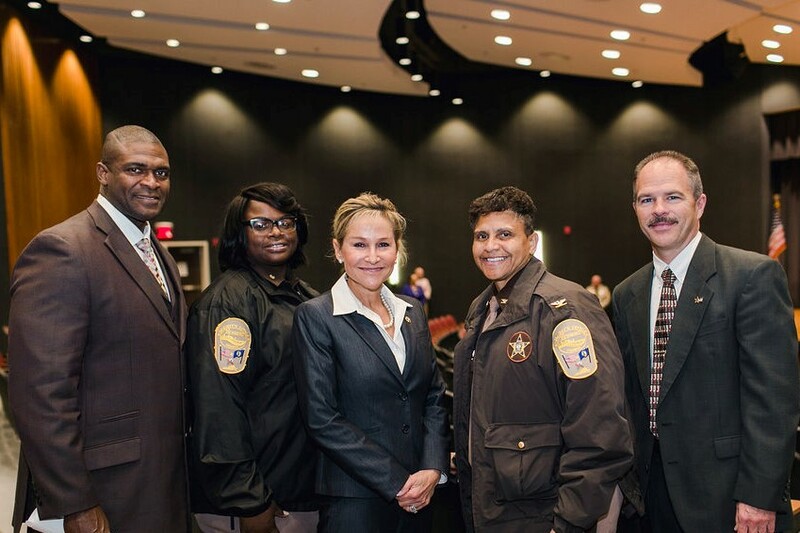 This marks the 7th consecutive year that Hampton Deputies have walked the course in women’s shoes to raise funds for the Center for Sexual Assault Survivors’. The Center’s walk shows survivors that we believe you & we support you, no matter who you are or what your story. The walk brings awareness of these issues to our community and gives hope and resources on how we can end sexual violence together. Pictured from left: Deputy E. Stox and Major S. Rich.